Natalie Ings is a Managing Director in Portfolio Solutions at Lightyear Capital. Ms. Ings focuses on supporting Lightyear's senior management in enhancing value and driving growth at Lightyear&apos;s portfolio companies. 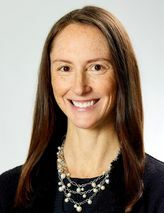 Prior to joining Lightyear in 2016, Ms. Ings was a Private Equity Controller at Och-Ziff Capital Management where she was the controller for side pocket investment activity and 15 hybrid and private equity funds. Previously, Ms. Ings was a Senior Vice President, Head of Finance, for Macquarie Infrastructure Partners Inc., the manager of Macquarie Group&apos;s North American infrastructure private equity funds, based in New York. At Macquarie, Ms. Ings focused on transactions, ongoing projects with portfolio companies, fund treasury, and investor reporting. Ms. Ings began her career at Horwath Australia — Motor Industry Services (now Deloitte Australia) as an auditor. Ms. Ings holds a B.Com. in Accounting and Finance from the University of Sydney and a M.Fin. from INSEAD. She is an Australian Chartered Accountant.